Every logo you see on screen and every billboard you pass on the highway was meticulously designed by a graphic designer. These artists spent years honing their skills before their work landed on print or on screen, but don’t let that discourage you. If you’re interested in a career in graphic design, you can get started with this Pay What You Want: The Complete Learn to Design Bundle. Here’s how this deal works: by paying what you want, you’ll gain access to one of the 10 courses in the Complete Learn to Design Bundle. If you pay more than the average price, you’ll receive all 10 courses. Finally, if you beat the leader’s price, you’ll be placed on the leaderboard and be entered in a giveaway. Graphic design is a broad term for dozens of areas of expertise, so no two graphic designers will be the same. For example, if you want to design pamphlets or brochures, you’ll be interested in Typography From A to Z, whereas Adobe Illustrator Master Class will be of more use if you want to become an illustrator. 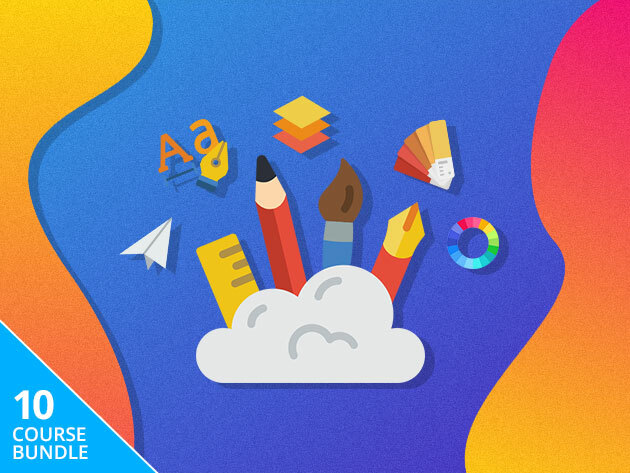 If you have no graphic design experience in general, your best resource would be Graphic Design Master Class, which provides a general overview of design theory and popular apps that you should master. You can find these courses and more in the Complete Learn to Design Bundle. Simply pay what you want to get enjoy one course or beat the average price for all 10.